Cheers to your new little bundle of joy! Kate Aspen's 10 oz. custom rocks glasses are perfect for celebrating all of life's occasions, including your beautiful baby shower. 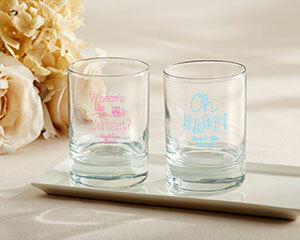 Personalize with baby's name and birth date for a wonderful party favor your guests will love and use.